Bikes can be a difficult item to store. FSS has 20 years of expertise in bicycle storage methods. We offer bicycle storage racks that are customized for each individual space and optimized for the most efficient method of storage depending on the needs of the building. 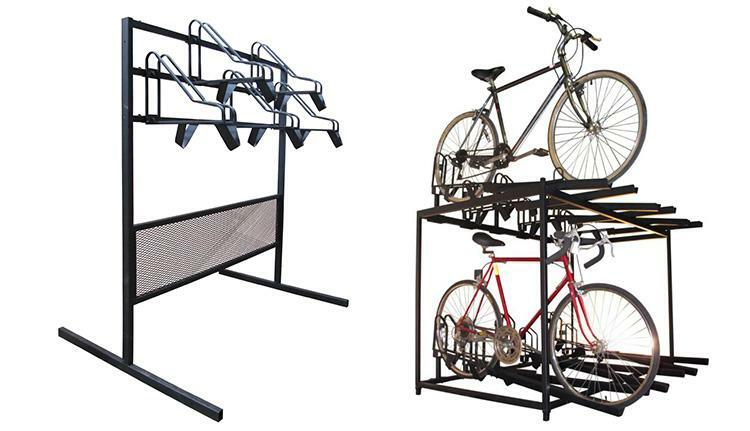 Whether it is simple floor racks, wall hanging racks or two tiered vertical systems, FSS ensures that bicycles are held properly while maximizing the space provided. Many times, bicycle storage is an afterthought. FSS can turn any space into a functional bicycle storage room using existing designs or custom designs if needed. Bicycle storage requires bike knowledge. FSS is the go-to bicycle rack manufacturer for bike storage needs.